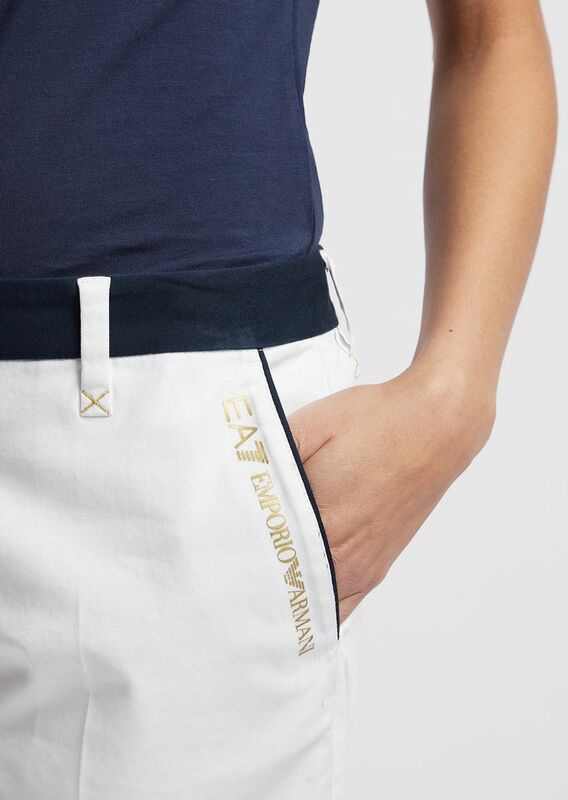 Jump aboard and prepare to sail the seas. 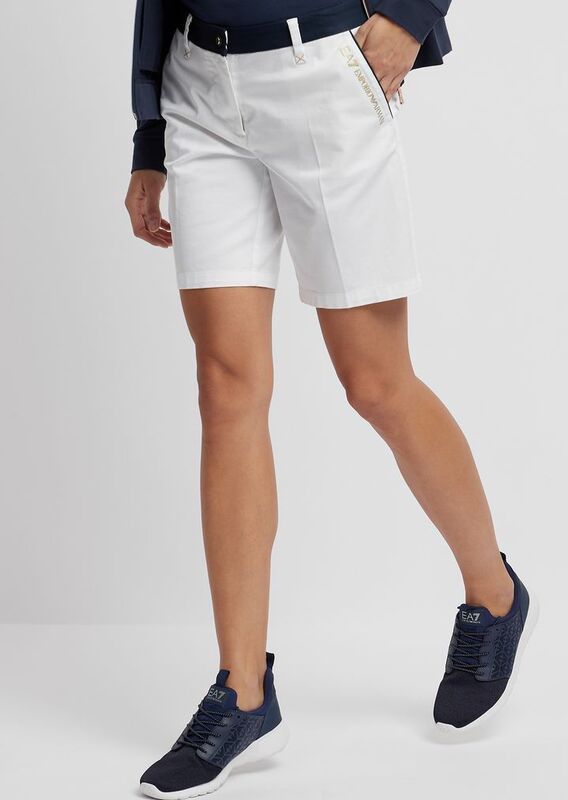 A garment that evokes the nautical world and its style but which can also be used in the city for casual outfits. 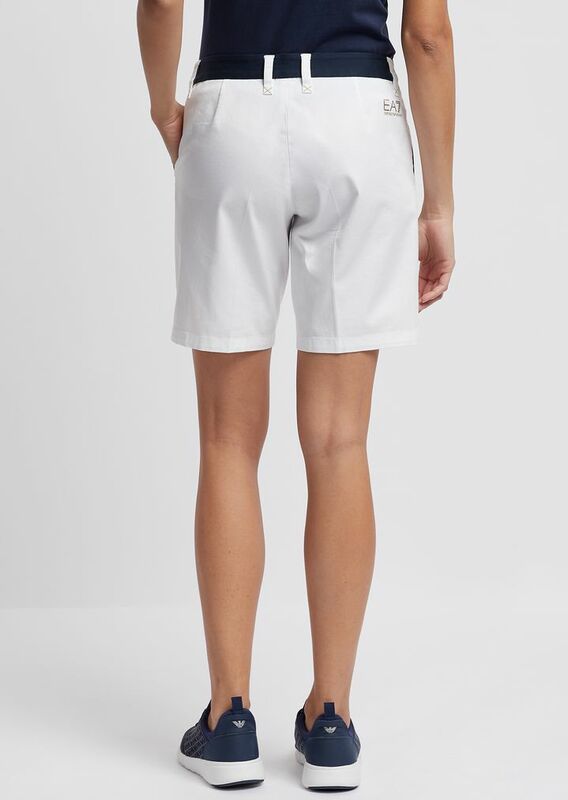 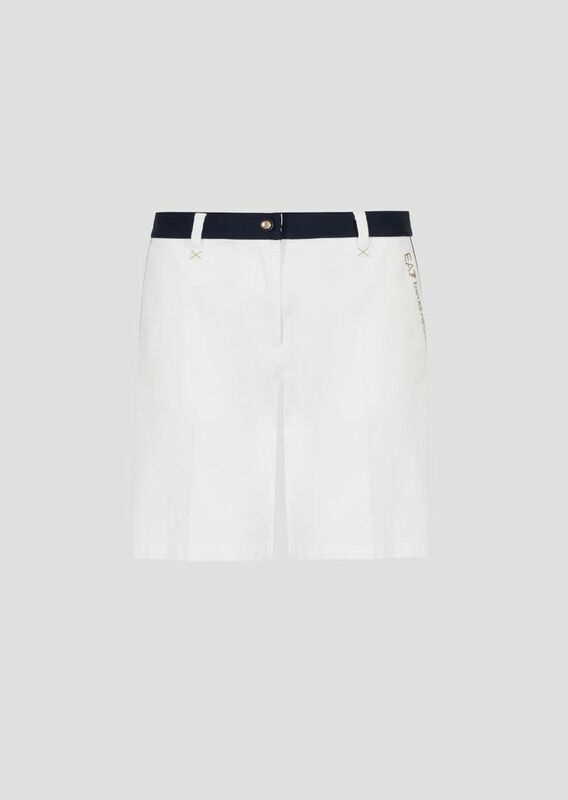 Bermuda shorts in cotton gabardine with contrast waist profile, side pockets and logo.